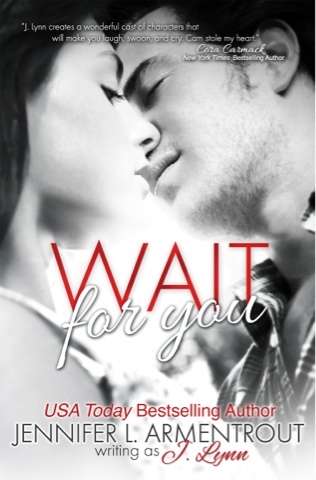 Wait for you had/has me crying, laughing, swooning, and begging for more all at the same time. Lets start with Cam, oh boy I need my own Cam. I never thought I would say this (Seeing that I adore Aiden so much) but Cam is my new book crush! He is just completely swoon worthy. Jennifer L Armentrout, has the most unique, best writing style in the world. I look up to her and idolize her. So when I heard another book was releasing I stated doing a happy dance. I had high hopes for this book and was not left down. I knew this would be another amazing release. I was practically hyperventilating when I only had a few more pages, I just spent the last twenty minutes staring at my nook wishing there was more. I usually can't read a book more than twice but this is a special circumstance! I need more Cam. Seriously, for the love of books every where, go read that book, like now. EXCITED IS NOT EVEN THE WORD FOR IT!!!!!!!!!!! Colt wants to turn Smalltown USA on its ear—with Ashley at his side. But Ashley’s the one sacrifice he never expected to make. Up until now, Ashley Lockett’s followed the rules. She’s always done the right thing, played it safe, gone to church. Then her ideal life is torn apart when her dad dies suddenly. Jordan has big dreams, he’s a great kisser, and he wants to help her through her grief. He also believes in everything Ashley now claims to hate. Then she meets Colt. He is not safe. And he’s ready to help Ashley fulfill her mission. Leigh Talbert Moore is a wife and mom by day, a writer by day, a reader by day, a freelance editor when time permits, a chocoholic, a caffeine addict, a lover of any great love story, a beach bum, and occasionally she sleeps. Leigh’s debut novel The Truth About Faking is available now on Amazon, Barnes & Noble, iTunes, and Kobo. Her second book, Rouge, is a mature YA/new adult romantic suspense novel set in New Orleans. It’s available on Amazon. For only the second night since she'd been back, the emptiness between them in the bed was gone. "Can I ask you something?" Micah breathed into her ear as they lay in the dark. "You just did," Julia laughed. 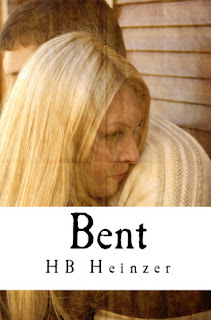 Micah gently pulled on Julia's shoulders until her face was inches from his. "Do you think there's a chance that someday your heart will heal from everything I've done to you so you can really love me again?" "Micah, even with everything that's happened in our lives, I don't think there was ever a time when I didn't love you. You've bent the hell out of my heart but for whatever twisted reason, I never stopped loving you." He rolled her back so her back was pressing into his chest as he drew her as close to his body as possible. "I don't deserve you." "No, you really don't," she agreed as she drifted off to sleep. Is following your dreams worth it if it means giving up on a second chance with her first love? Is trying to make a relationship work worth it if his past becomes a threat to her safety? I’ve been reading romance novels for over 20 years now. My fascination started with my mother’s collection of romance novels which lined half of one wall in the master bedroom of my childhood home. After I graduated from high school, life began to interfere with my reading and I didn’t read nearly as often as I would like. When my daughter was born, we decided that it would be more beneficial for me to be a stay at home mom. To fill the income gap, I began freelance writing for a variety of websites and print publications. From there, I progressed to writing blogs as a way to hang on to the pieces of myself I felt slipping away as I filled my roles as wife and mother. Blogging slowly morphed from a creative outlet for my writing to a way to place another egg in my work at home basket. It wasn’t until I attending a blogging conference in 2012 that I was overcome with the need to write a book. I’d been thinking about it since I was 15 but it was one of those “someday” dreams. There were two speakers at that conference who convinced me I needed to do it. Just shy of a year later, here I am!